Modern, designer children's clothing for babies, girls and boys in sizes newborn to age 12. Kids and baby clothes for little citizens of the world. Tea is the pefect name for their children's wear. Just as every culture around the world drinks tea, and every culture around the world celebrates children, so are the ever changing collections at Tea. Themed collections that take you around the world - from Japan to the current collection which lands you in Modern Mexico. You'll see patternes and design influences from their current stop on the globe. is Mexico, as it is, you could buy your child an outfit and do a unit study on Mexico. Making an authentic Mexican dish for dinner, taking a look at Mexican tradions like Cinco de Mayo, locating Mexico on a map and pointing out it's capital and land features, maybe checking out traditional textiles from Mexico and comparing them to your child's new Tea Collection lovelies. Teaching our kiddos about other cultures is not only important, but to me is fun! What better way to do it than with culturally influenced clothing from Tea Collection! And being that Tea is so festive, what better way to adorn your little ones for the festive holiday season! I know! 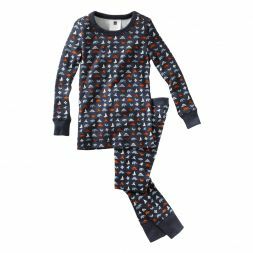 With wonderful, cottony, cozy, pajamas for the special Christmas pajamas that your children get each Christmas. It is a tradition of our and as they get older, it gets harder to find quality cotton pagamas. Look no further than Tea Collection - newborn all the way up to size 12!